Why current appears at reverse bias? 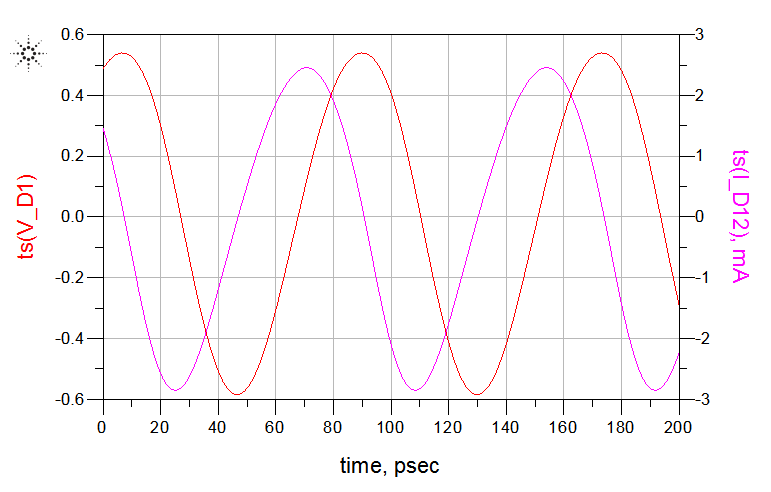 I am simulating time-domain graphs of a Schottky diode model. I am expecting ~zero current at the negative half cycle. But I am seeing negative current. It's only about 3mA, but based on I-V curve, it is about 0. Does anyone have an idea what might go wrong? You will have some reverse leakage current for all diodes, for instance a 1N4001 is specced at \$5\mu A\$ at \$25\circ\$C. But that's not what's happening here. The more likely culprit is the diode's turn off time. 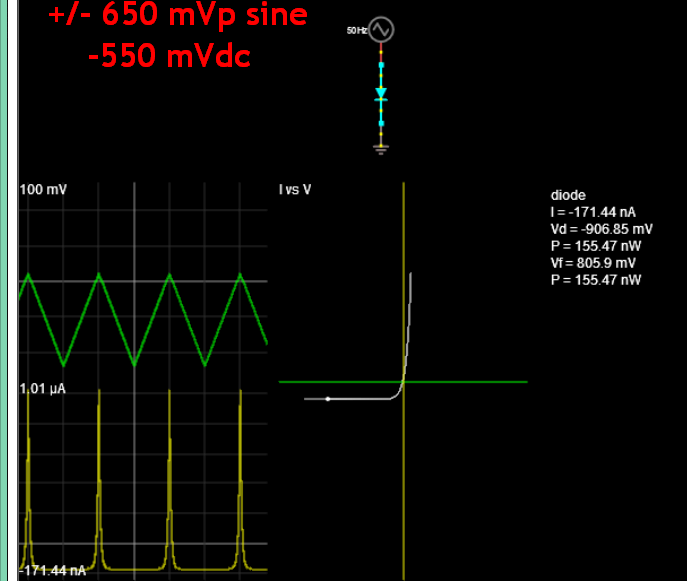 Your diode appears to be a silicon diode from the 0.7V knee, and silicon diodes have a non-negligible switching time, from a some \$ns\$ to several \$\mu s\$ or more (more info). That's exactly what your circuit looks like, as it seems the diode isn't turning off at all when you push it negative, and at 14 or so GHz (where you're at), this becomes VERY significant. For simulation, you'll want to alter your diode model, and if you actually intend to build this, you'll need to pay very careful attention to the type of diode you select. The phase shift is obviously diode junction capacitance just as any RC filter. 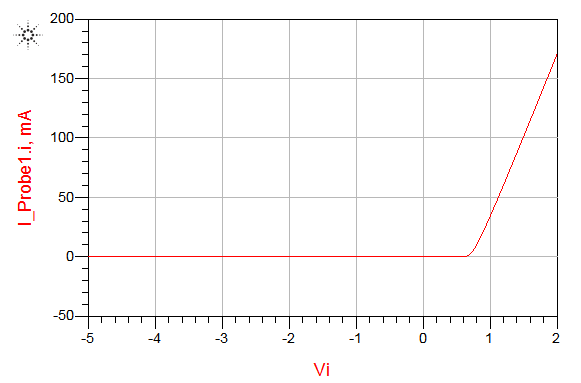 The diode negative constant current effect is shown here with a mainly negative biased sawtooth with autoscale. Not the answer you're looking for? Browse other questions tagged current diodes reverse or ask your own question. When to bias diodes in double balanced ring mixer? How do I model an LED with SPICE? 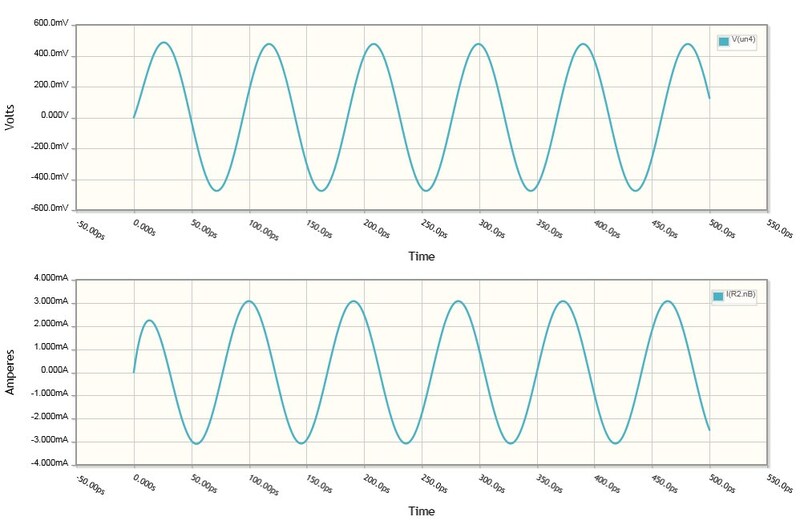 What happened to my second half cycle of my half wave rectifier? How do I calculate the impedance needed to drop 120V AC?